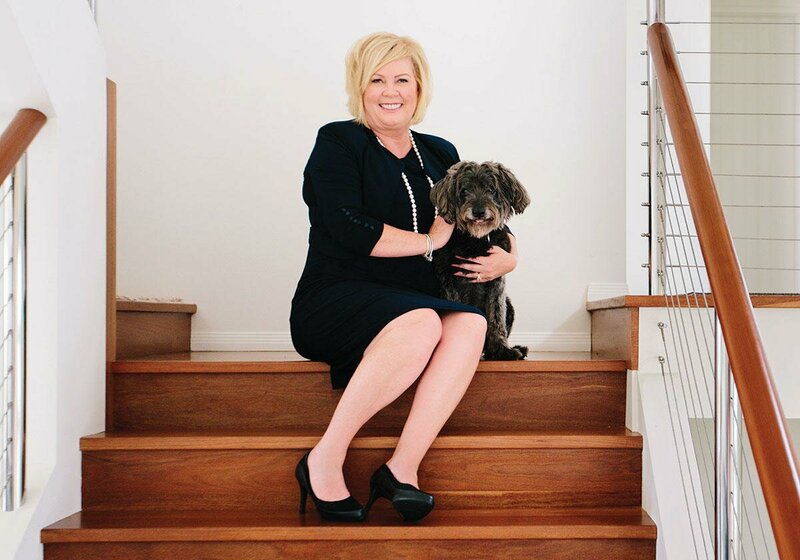 Down to the last few dollars in her wallet, Jane Meredith took a huge leap of faith when she opened her first diamond simulant store in Noosa in 2000. 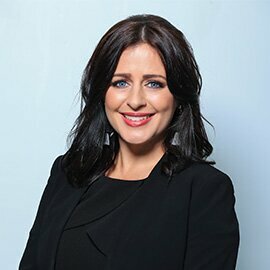 Sixteen years later and Jane is now at the helm of nine successful stores across Australia. Ingrid Nelson shares her remarkable story. 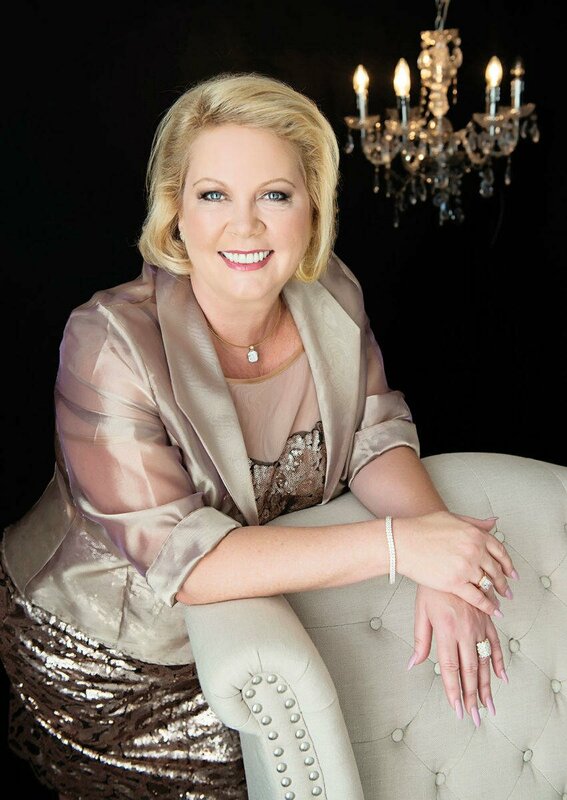 I must admit, I do love a bit of bling, so I was delighted to be given the opportunity to interview Australia’s queen of sparkle herself, Jane Meredith, owner of the renowned diamond simulant chain Secrets. 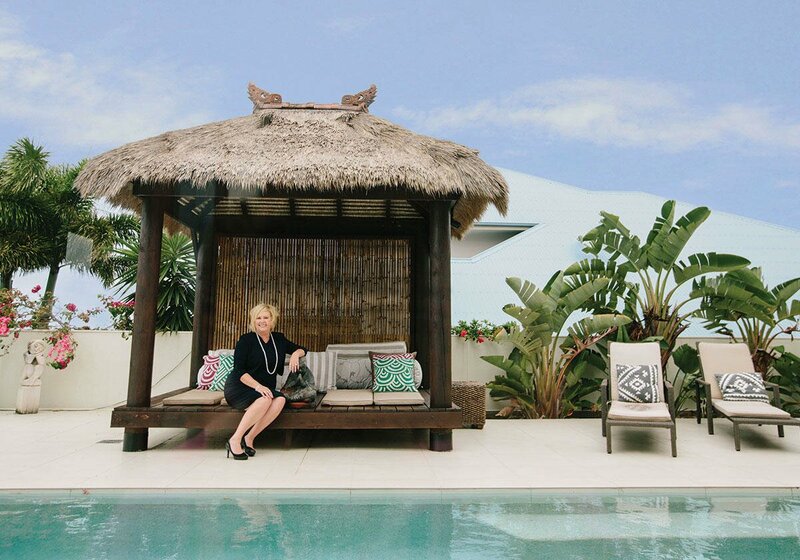 During my recent visit to her beautiful home in Noosa, I got to know the humble woman behind the famous brand as she candidly opened up about her rollercoaster rags to riches story. And not surprisingly, like most success stories, it wasn’t all sparkle. But what Jane lacked in confidence she made up for in passion, determination and belief in her product. In fact, Jane was so full of self-doubt that just a week before the shop opened, she almost opted out. Jane even remembers the first item she sold that day, the memory making her laugh out loud as she recounts how nervous she was. So where did it all begin for this plucky entrepreneur and how did she arrive at this pivotal moment in her life? Born to British parents in the 1960s, Jane grew up in a typical blue collar family in Sydney. Disillusioned with the school system, she convinced her parents to allow her to finish school at 15, which they agreed to, providing she found herself a secure job. 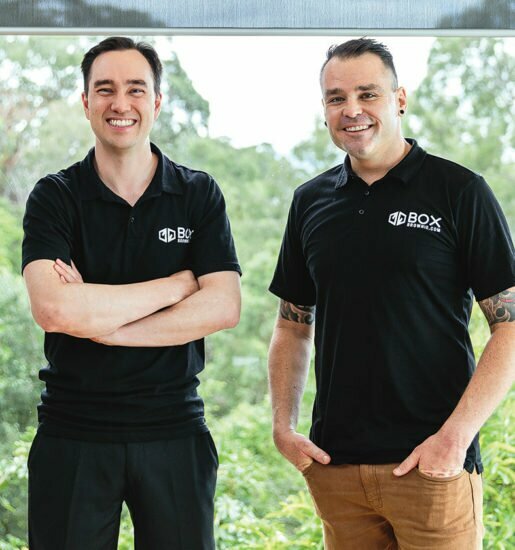 Going from one extreme to the other, Jane took a redundancy package and bought a Donut King franchise with her then-partner of 20 years and within three months of opening the business they separated and Jane’s life took a very different turn. But as they say, when one door closes another one opens and as fate would have it Jane moved to the Gold Coast and was offered a job through a friend, selling high-end jewellery. It was during this time she met her future business partner and jeweller Dietmar Gorlich who first introduced her to the idea of diamond simulants, but she was far from convinced. “I said, ‘Are you joking, women are not going to wear that’. I was working in the high-end of the industry, I was going to Versace balls and wearing millions of dollars of jewellery. Jane partnered with Dietmar and her business was born. 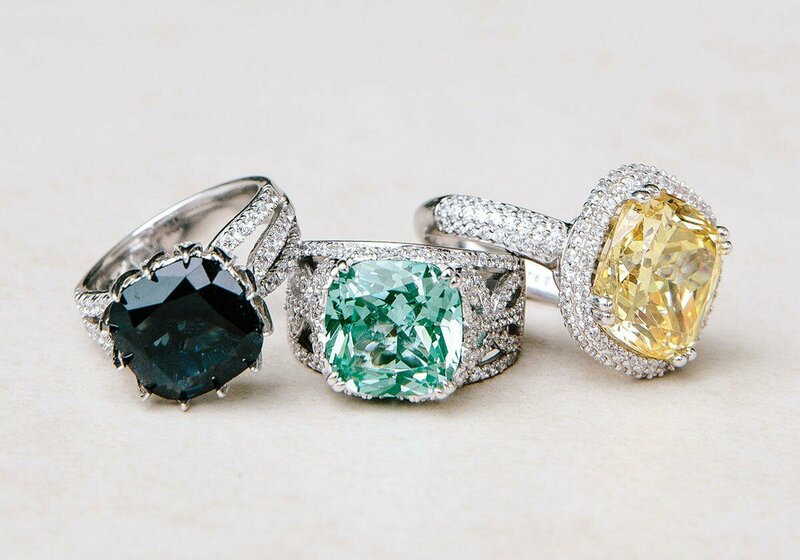 So what exactly are diamond simulants I hear you ask? According to Jane, modern diamond simulants are not detectable to the naked eye and have come a long way from the old cubic zirconias we were introduced to in the ‘70s. “Back then they would break down and go milky and they didn’t realise the cutting of the stone was more important than the colour and clarity. If it is not cut to the ideal proportions it cannot sparkle. But despite her success, Jane has also had her fair share of challenges along the way including the GFC, which took a big toll on the business. “We got hit by the gold market even before the GFC. We are forever driven by gold and the dollar and they tend to stay in sync most of the time but it went way out of kilter in 2007 and had a massive effect on us,” says Jane. But like all good business owners worth their salt, Jane and her team have ridden the storm and come out the other end. And there have been some valuable lessons learnt along the way. “You need to be really really passionate about what you want to do and I know that’s a bit of a cliché but if you’re not you are never going to get past the hard bits because there will be nothing else driving you. If you make it just about money it won’t happen. Jane is as passionate today as she was 16 years ago about her business, with plans to have 100 stores by 2025. Sounds like Jane’s found the secret to success. Shhhh! I live in the South West of WA, was reading a Qantas magazine on a flight from Singapore to Perth as I was working on a Oil Rig as a nurse & they building a rig & I was flying from Sing to Perth for my time off. I saw a ad for Secrets. As I was on a Fi/FO roster of 2wks on/ 2wks off. I bought a Asher ring, It has not stopped from there. The comment’s I get from shop assistants in town is amazing. The only item I cannot purchase is the bracelet’s. My wrists are not small enough. The store is very obliging in resizing my rings. My husband has purchased a few for me, which is great. All I need now is to obtain a few business cards, so I can hand out to my hairdressers etc. I am not working now as I have Breast cancer, but I look forward to when my mail man comes with my parcel. The staff at Secrets are very helpful & if any problems email me.